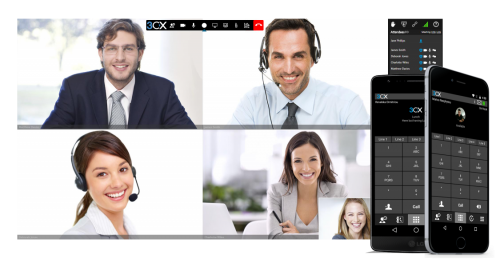 Our engineers are 3CX experts – Advanced Certified with decades of business telecom and VoIP experience. It's More than a phone... it's your business! The phone is more than a necessity - it is crucial to your business! You need someone who understands your business - CTO Telecom is a full-service telecom company offering specialized, highly customized telephony solutions for small and medium sized businesses. We provide systems and services for Voice over IP (VoIP) and traditional Business Telephony with a focus on maximizing the return on investment and operational productivity of your business. 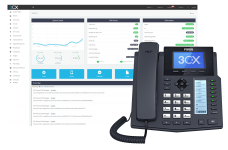 We specialize in multi-site and complex deployments, Contact Centers, Advanced Business Applications, and Computer Telephony Integration to dramtically improve your bottom line, and cut operations costs.Time for a new Phone System? 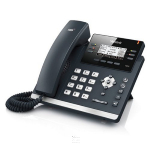 Need to cut your telephony costs? Considering a move to the cloud? We can can get you connected! Your business is unique - we believe the technology supporting your business operations should reflect the specific needs of your company. Learn more about our clients and how our customized solutions can work for you. Whether it's a new prospect or an existing relationship, every phone call is a valuable business transaction. We ensure that every incoming call is answered - regardless of local power or internet outages - your callers always get through. As simple as it sounds, you just want the dang phone to work when you need it. We believe that it is your inalienable right to have a high availability business phone system that is rock-solid reliable - on any device. Staying connected is easier than ever - smart phones, tablets, and laptops already extend your office apps - your phone system can go with you anywhere and everywhere. You are always in control of when, who, and how you are contacted. More than just help when things go wrong, we are invested in your business' success. Our support staff know your team and specifically how they depend on the phone as part of their daily operations - we are there to offer training and tips to improve efficiency and your customers' experience when they call. Don't be forced to choose what each user gets based on cost - all features are available to all users - and pay nothing more for additional users. Features for all and for the many! Things change. Part of managing change includes flexibility. No long term contract or cancellation fees means you are never stuck with a service you no longer want or need. CTO Telecom is there for us without fail - We couldn't ask for better partners with our technology! A proven solution provider - I recommend CTO Telecom without reservation!